Holiday decor doesn’t have to always be the traditional colors or styles that we see in stores. 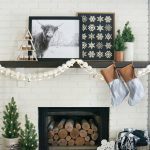 I love using monochromatic color palettes, simple decor, mixed with a few easy DIY’s to help my holiday decorating feel like an extension of my everyday decor. 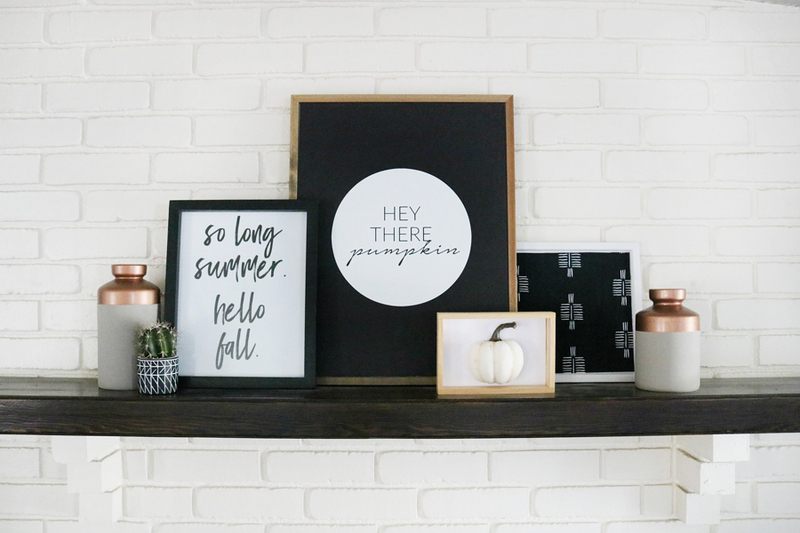 Today I’m sharing My Black & White Simple and Modern Fall Mantel Decor and the super easy DIY Black & White fall sign I made. DISCLOSURE | This post is sponsored on behalf of JOANN, all ideas and opinions are my own. 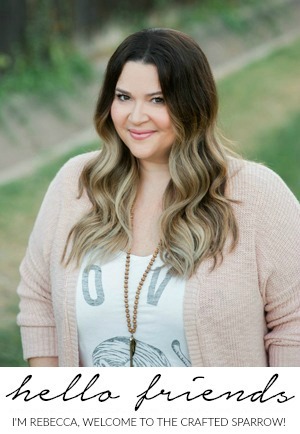 I’m so excited to be teaming up with JOANN Stores to show you all the fun finds that can be found in stores and online to help make your holiday decorating beautiful and easy. 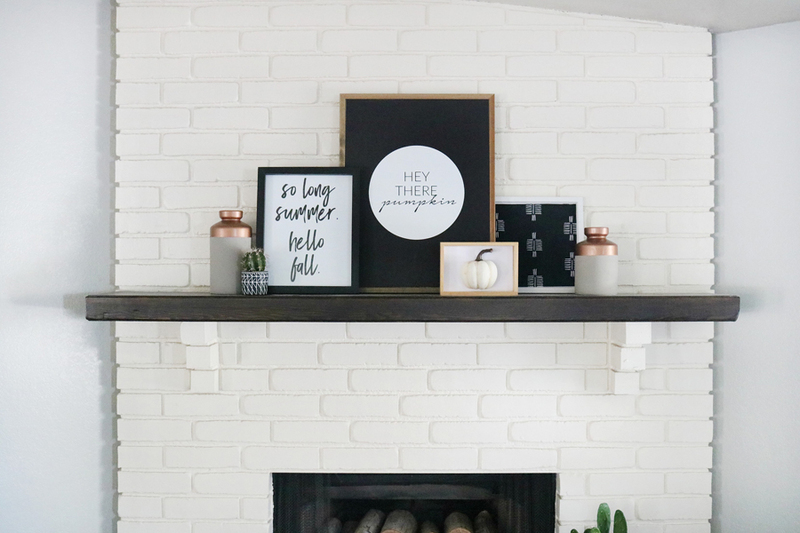 This Black & White Simple and Modern Fall Mantel Decor took me about an hour to put together from start to finish. 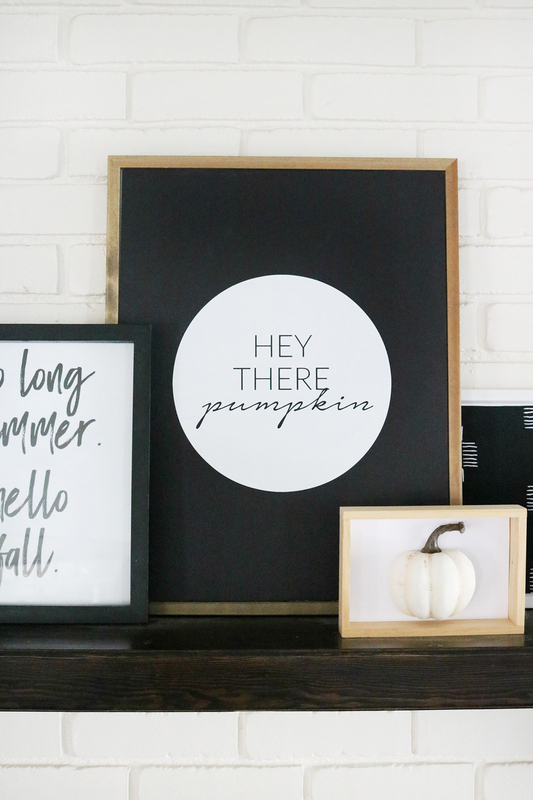 That includes the easy DIY Fall Art I made that I’m showing you how to make below. 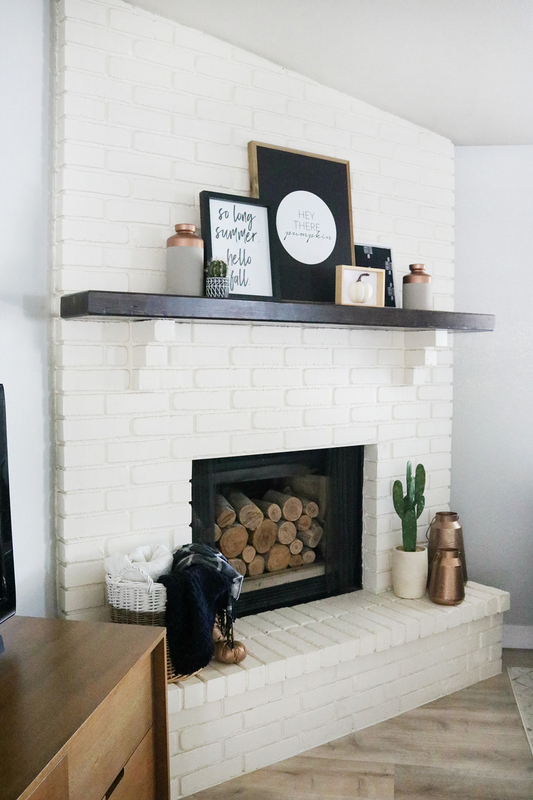 The very first thing I did before decorating my Black & White Fall Mantel was to take look around my home for what pieces I already had that could be incorporated into my design. 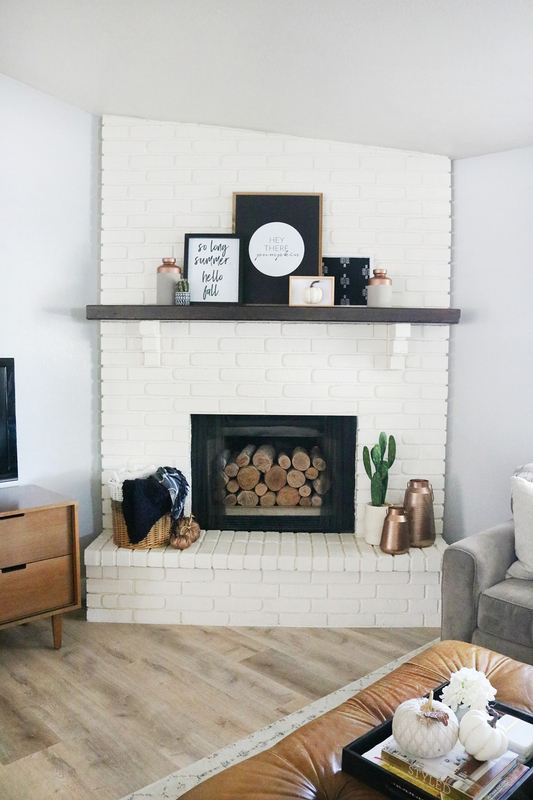 I’ve been loving my simple everyday mantel decor which you can see HERE, and I really wanted to keep with that set up while added bits of fall into the mix. I needed to create a large focal piece of art for my mantel so I headed to my local JOANN store to shop for a couple of supplies. It took me about 10 minutes to make this large “Hey There Pumpkin” sign. 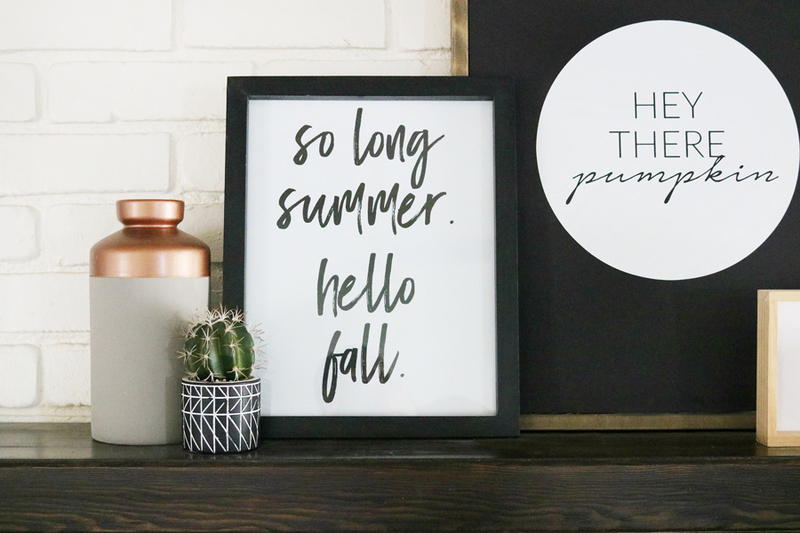 Let me show you just how easy it was to make this DIY Fall Sign. 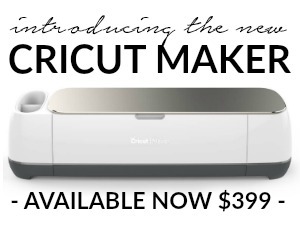 Start by uploading the cut file I have available above to your favorite cutting machine software. 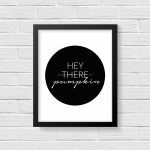 Mine is Cricut Design Space and I love using my Cricut Maker to create projects like this. Once I’ve uploaded the image, I can turn it into a cut file. 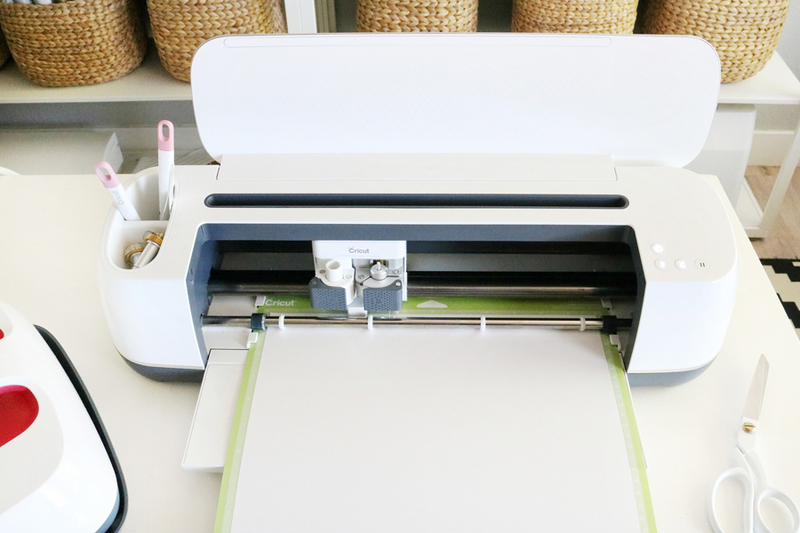 Then just cut the vinyl, weed it, and apply your transfer tape to the graphic. Since I had a large frame I was using for my sign I needed to cut the black foam core board down to size. I used an X-Acto knife and a straight edge ruler to measure and fit it to the inside of my frame. The key to cutting foam core is to go slowly and you’ll be good. 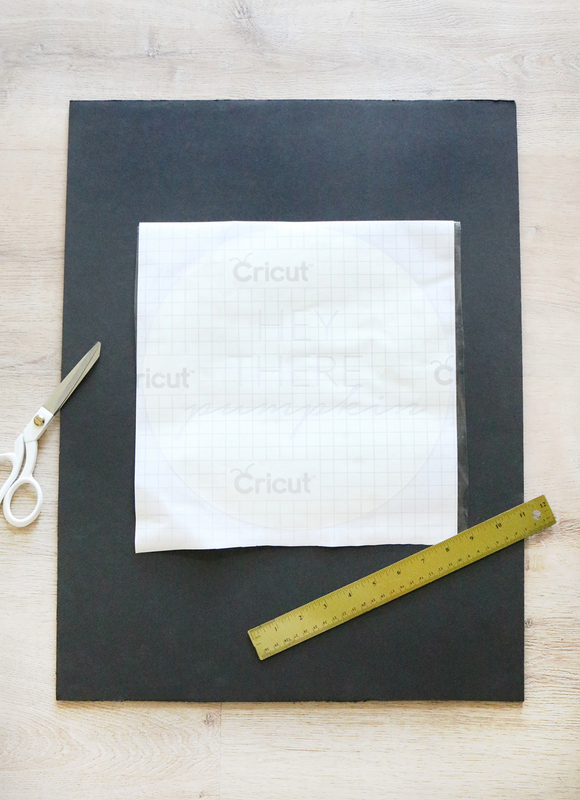 Measure and center your vinyl design on the foam core board and apply your vinyl decal. 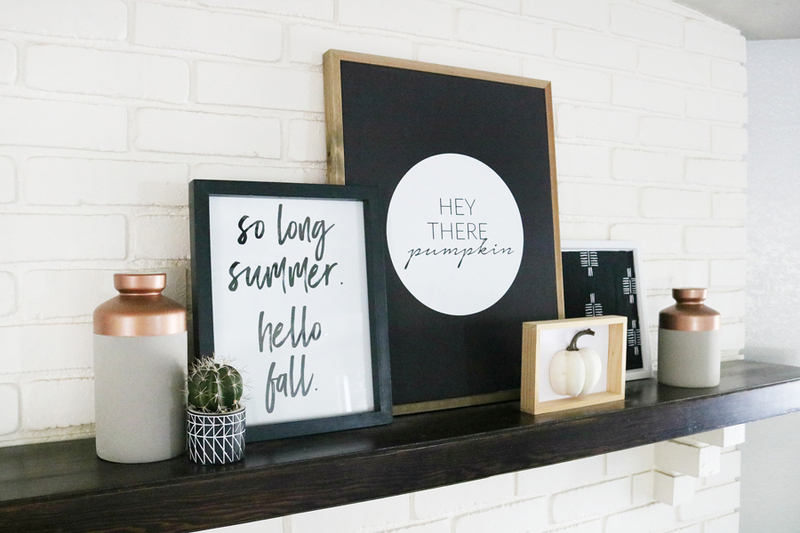 Place the foam core board snuggly inside the frame and voila you’ve got a custom piece of DIY Fall Art for your decor. So cute right?! I love the simple and fun quote. Now that I had my main focal piece in place it was time to add all the other fun JOANN finds. I wanted to add pops of copper alongside all my black and white. 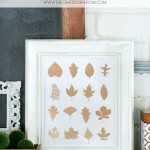 I found so many cute copper decor pieces in the holiday fall decor at JOANN stores. 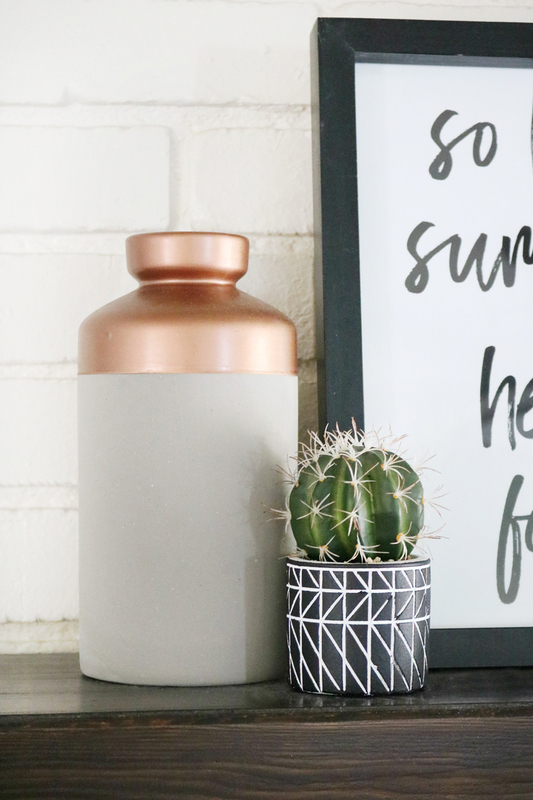 The Concrete and Copper Vases are one of my faves. I love the modern lines of them, they would be so great as centerpieces on a Thanksgiving table too. I paired the Concrete and Copper Vases next to a quick framed print I made. I’ll have this available for download next week, so stay tuned. 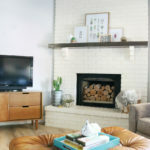 In the other small white frame, I added some of my favorite Nate Berkus Mudcloth Inspired Home Decor Fabric. Just cut a piece of fabric to fit in the frame and you’re all set. 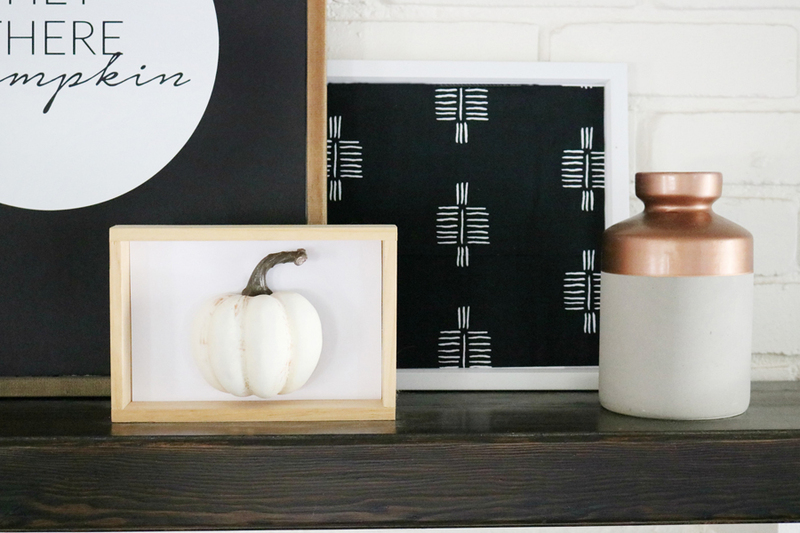 It’s a non-traditional touch to my fall mantel but it helps to pull a little bit of the modern, slightly boho look I wanted into the decor. That cute little framed white pumpkin? That is just a little wood frame I had that I added a piece of white cardstock too, then I grabbed one of these cute Small Natural Pumpkins that I cut it in half with a Styrofoam Cutting Tool. Remove the stem from your pumpkin and just slice through the small pumpkin. Using hot glue add the stem back to your now halved pumpkin and hot glue it to the white cardstock inside the frame. Now on to the hearth on my fireplace. I’m so lucky to have such a large fireplace, it really makes decorating fun. 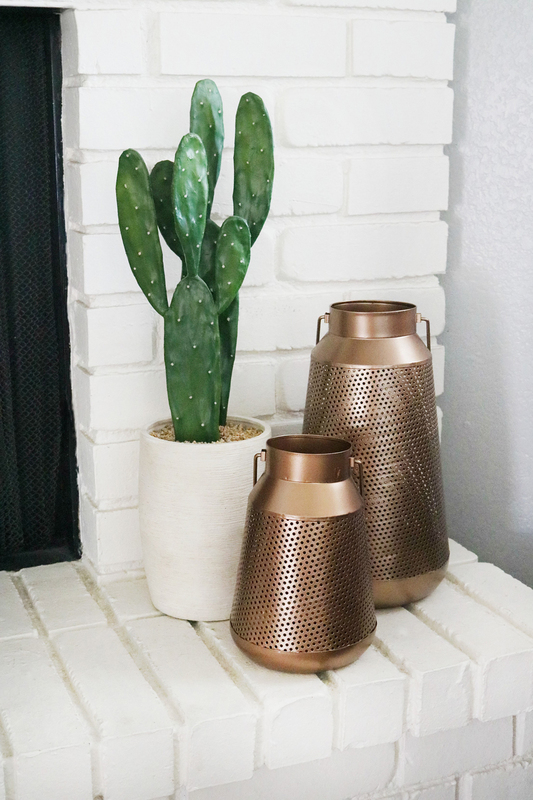 I kept my faux potted cactus and added these Copper Pierced Metal Lanterns in Small and Large to one side of the hearth. I added faux candles to the inside of my lanterns to keep the look clean and modern, but these lanterns could be used in so many ways. 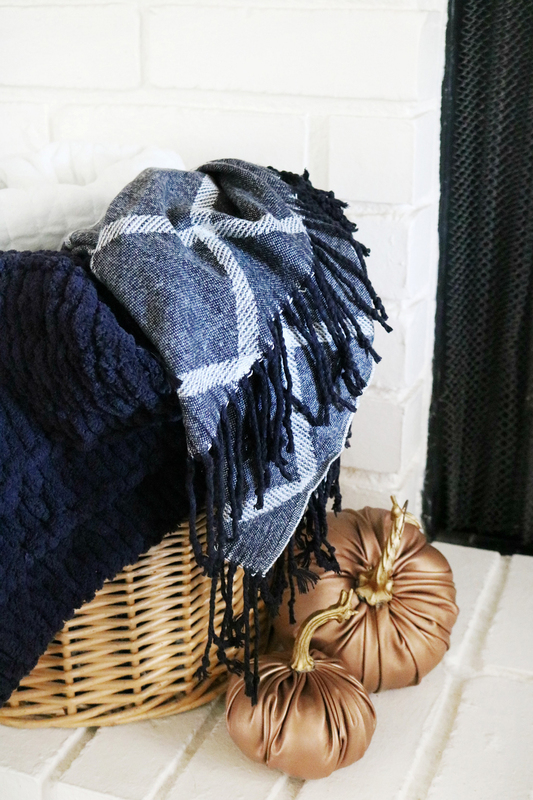 The other side of my hearth is always for throw blankets! Lots of throws! I have a large wicker basket that I keep full for when the weather turns chilly. I like to keep a few different weights of throws. I found this super soft and cozy Black Plaid Throw at JOANN Stores. 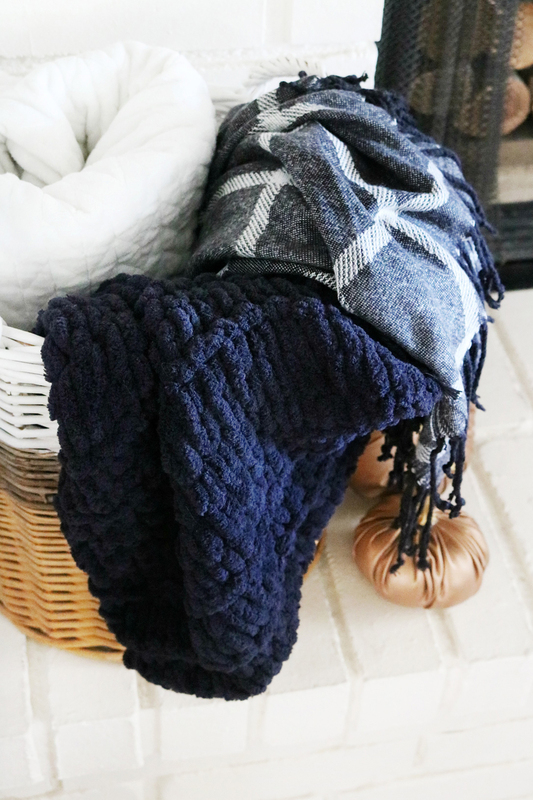 Its the perfect lightweight throw for our Arizona transitions from summer to fall since it doesn’t get super cold here, and I love the fringe detail. 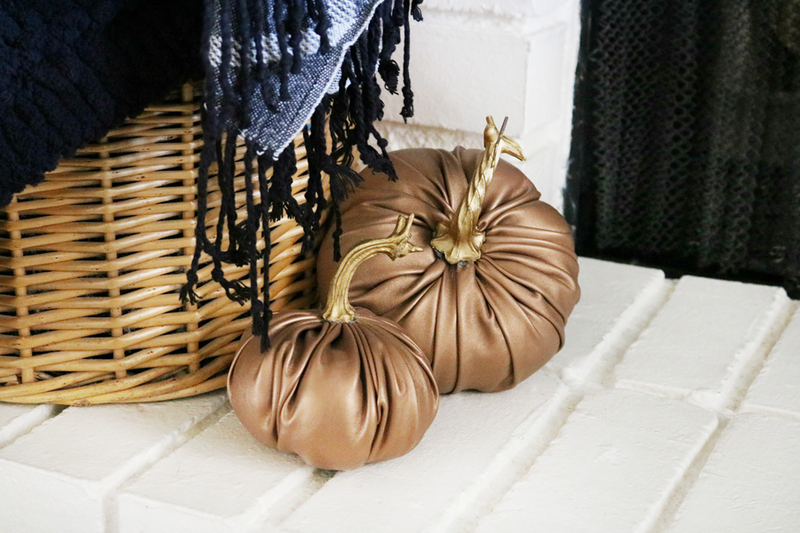 To add just a little more copper to my decor I found these Copper Leather Pumpkins, I added a Small and Extra Small pumpkin next to my wicker basket. They are so pretty. These cute little pumpkins come in several colors. My throw blanket basket needed one more cozy blanket so I decided to try something I’ve never tried before and actually knit one! Whaaaat! I know! I was super unsure of myself and nervous, but I did it and if I can so can you! I ended up using the new Bernat Alize Blanket-EZ Yarn in black. This loopy yarn makes it so you can knit with your fingers, anyone with any skill level can do it. I used a really easy tutorial that I found on the Yarnspiration YouTube channel, it was really easy guys! This blanket turned out so soft and cushy it’s going to be perfect as our temps cool down. I always love when I finish holiday decor, the next few months are my most favorite time of the year. 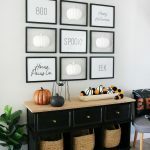 This decor fits perfectly with my style and I love that I’ve decorated for Fall without feeling like it’s overdone or too much stuff. 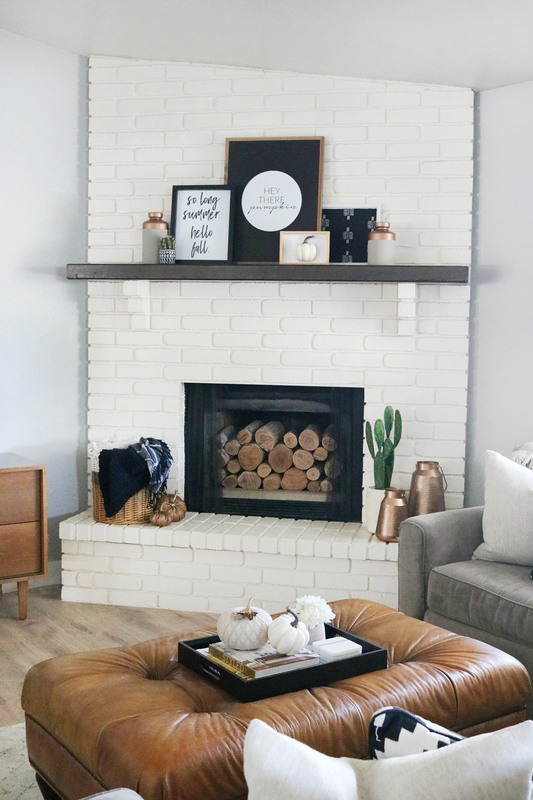 If you loved this Black & White Simple and Modern Fall Mantel decor be sure to check out these other holiday mantels.